^ 1.0 1.1 KASC Scientific Webpage. Kepler Asteroseismic Science Consortium. 14 March 2009 [2009-03-14]. （原始内容存档于2012年11月20日）. ^ 2.0 2.1 2.2 2.3 2.4 Kepler (spacecraft). JPL Horizons On-Line Ephemeris System. NASA/JPL. January 6, 2018 [January 6, 2018]. （原始内容存档于2016-03-04）. ^ Kepler Spacecraft and Instrument. NASA. June 26, 2013 [January 18, 2014]. （原始内容存档于January 19, 2014）. ^ David Koch; Alan Gould. Kepler Mission. NASA. March 2009 [2009-03-14]. （原始内容存档于2014-03-06）. ^ Staff writers. Nasa launches Earth hunter probe. BBC News. 7 March 2009 [2009-03-14]. （原始内容存档于2012-12-25）. ^ Matthew Francis. RIP and good planet hunting, Kepler. Ars Technica. May 16, 2013 [2013-05-16]. （原始内容存档于2013-05-15）. ^ David Koch; Alan Gould. 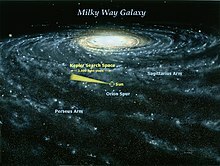 Overview of the Kepler Mission. NASA. March 2009 [2009-03-14]. （原始内容存档于2007-10-11）. ^ Muir, Hazel. 'Goldilocks' planet may be just right for life. New Scientist. 25 April 2007 [2009-04-02]. （原始内容存档于2009-04-18）. ^ David Koch; Alan Gould. Kepler Mission: Frequently Asked Questions. NASA. March 2009 [2009-03-14]. （原始内容存档于2007-08-20）. ^ 14.0 14.1 14.2 14.3 14.4 Kepler: NASA’s First Mission Capable of Finding Earth-Size Planets (PDF). NASA. February 2009 [2009-03-14]. （原始内容存档 (PDF)于2009-03-10）. ^ 15.0 15.1 Kepler Mission Rockets to Space in Search of Other Earth (新闻稿). NASA. 6 March 2009 [2009-03-14]. （原始内容存档于2009年3月15日）. ^ DeVore, Edna. Planet-Hunting Kepler Telescope Lifts Its Lid. SPACE.com. 2009-04-09 [2009-04-14]. （原始内容存档于2009-04-12）. ^ NASA's Kepler Captures First Views of Planet-Hunting Territory. NASA. 2009-04-16 [2009-04-16]. （原始内容存档于2009-04-18）. ^ David Koch; Alan Gould. Kepler Mission: Launch Vehicle and Orbit. NASA. March 2009 [2009-03-14]. （原始内容存档于2007-06-22）. ^ Hansen Ng. Kepler Mission Sets Out to Find Planets Using CCD Cameras. DailyTech. 8 March 2009 [2009-03-14]. （原始内容存档于2009年3月10日）. ^ "Kepler-22b, Super-Earth in the habitable zone of a Sun-like Star" 页面存档备份，存于互联网档案馆. Kepler – NASA.gov. 5 December 2011. ^ Govert Schilling. 'Super-Earth' Found in Habitable Zone. AAAS. 12 September 2011. （原始内容存档于2011年9月25日）. ^ NASA Staff. Kepler: A Search For Habitable Planets - Kepler-20e. NASA. 20 December 2011 [2011-12-23]. （原始内容存档于2013-01-26）. ^ NASA Staff. Kepler: A Search For Habitable Planets - Kepler-20f. NASA. 20 December 2011 [2011-12-23]. （原始内容存档于2013-01-26）. ^ Johnson, Michele. NASA Discovers First Earth-size Planets Beyond Our Solar System. NASA. 20 December 2011 [2011-12-20]. （原始内容存档于2011-12-21）. ^ Overbye, Dennis. Two Earth-Size Planets Are Discovered. New York Times. 20 December 2011 [2011-12-21]. （原始内容存档于2013-01-26）. ^ Claven, Whitney. Billions and Billions of Planets. NASA. 3 January 2013 [3 January 2013]. （原始内容存档于2013-01-26）. ^ Staff. 100 Billion Alien Planets Fill Our Milky Way Galaxy: Study. Space.com. 2 January 2013 [3 January 2013]. （原始内容存档于2013-01-03）. ^ 29.0 29.1 29.2 NASA's Kepler Mission Discovers 461 New Planet Candidates. [2013-02-23]. （原始内容存档于2013-03-01）. ^ Moskowitz, Clara. Most Earth-Like Alien Planet Possibly Found. Space.com. 9 January 2013 [9 January 2013]. （原始内容存档于2013-03-01）. ^ Welcome to the NASA Exoplanet Archive. exoplanetarchive.ipac.caltech.edu. February 27, 2014 [February 27, 2014]. （原始内容存档于2014年2月27日）. February 13, 2014: The Kepler project has updated dispositions for 534 KOIs in the Q1-Q16 KOI activity table. This brings the total number of Kepler candidates and confirmed planets to 3,841. For more information, see the Purpose of KOI Table document and the interactive tables. ^ Johnson, Michele; Harrington, J.D. NASA's Kepler Mission Announces a Planet Bonanza, 715 New Worlds. NASA. 26 February 2014 [26 February 2014]. （原始内容存档于2014-02-28）. ^ Wall, Mike. Population of Known Alien Planets Nearly Doubles as NASA Discovers 715 New Worlds. Space.com. 26 February 2014 [26 February 2014]. ^ Amos, Jonathan. Kepler telescope bags huge haul of planets. BBC News. 26 February 2014 [27 February 2014]. （原始内容存档于2014-02-28）. ^ Overbye, Dennis. 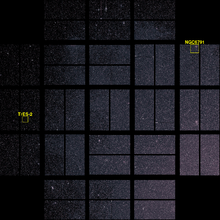 From Kepler Data, Astronomers Find Galaxy Filled With More but Smaller Worlds. New York Times. 27 February 2014 [28 February 2014]. （原始内容存档于2014-02-28）. ^ 36.0 36.1 R. Cowen - Kepler clue to supernova puzzle (2014) - Nature. [2014-02-28]. （原始内容存档于2014-02-28）. ^ Chou, Felicia; Johnson, Michele. NASA's Kepler Reborn, Makes First Exoplanet Find of New Mission. NASA. 2014-12-18 [2014-12-19]. Release 14-335. （原始内容存档于2014-12-19）. ^ 38.0 38.1 Clavin, Whitney; Chou, Felicia; Johnson, Michele. NASA's Kepler Marks 1,000th Exoplanet Discovery, Uncovers More Small Worlds in Habitable Zones. NASA. January 6, 2015 [January 6, 2015]. （原始内容存档于2015-01-07）. ^ Dunn, Marcia. Astronomers find solar system more than double ours in age. AP News. 27 January 2015 [27 January 2015]. （原始内容存档于2015-01-28）. ^ Kaplan, Sarah. The strange star that has serious scientists talking about an alien megastructure. The Washington Post. October 15, 2015 [October 15, 2015]. ISSN 0190-8286. ^ Andersen, Ross. The Most Mysterious Star in Our Galaxy. The Atlantic. October 13, 2015 [October 13, 2015]. （原始内容存档于2016-06-23）. ^ 45.0 45.1 NASA's Kepler Mission Announces Largest Collection of Planets Ever Discovered. NASA. May 10, 2016 [May 10, 2016]. （原始内容存档于2016-06-20）.